The 2016-2017 school year is my 28th year in education. 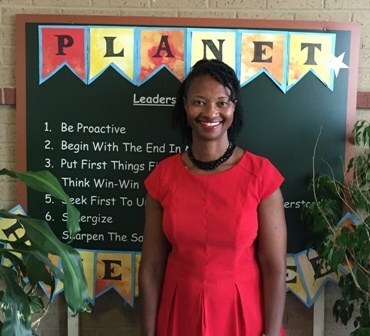 It is an honor to begin my 7th year as principal of Hazel Green Elementary. I am originally from Thomasville, Georgia. My husband, Darryl, is retired from the United States Air Force (after 20 years) and works on Redstone Arsenal with the Missile Defense Agency as a Safety and Occupational Health Specialist. During his years in the military, I had the opportunity to teach or serve as an administrator in Americus, Georgia; Colorado Springs, Colorado; San Angelo, Texas; Montgomery, Alabama; Honolulu, Hawaii; and Lompoc, California. My family moved to the Huntsville area 9 years ago. We have two daughters. Olivia works for DHR, foster care, in Montgomery, Alabama. Sierra, a junior majoring in Spanish with an ELL endorsement, is on a basketball scholarship at Belmont University. When I am not at the school, I enjoy spending time with my family, studying the Bible, and exercising. I am thankful that Hazel Green is where I have been chosen to serve. We are looking forward to an exciting school year as we encourage our students to blast into a great future! !